Goodbye lob! 3 years ago, I donated my hair and with that came a short bob haircut. It was definitely different because I never had short enough hair that I wasn't able to tie into a ponytail. Since then, whenever I was due for a cut, I would ask for a shorter lob-style because the style was growing on me (haha, get it?!). This time around, I was over it. So I opt for a subtle v-shaped layered cut. A new haircut means playing around different styles. When I had my lob, my styling options were limited. I only kept it straight or tied it half up. Lately, with this new hair, I've been wearing my hair wavy. 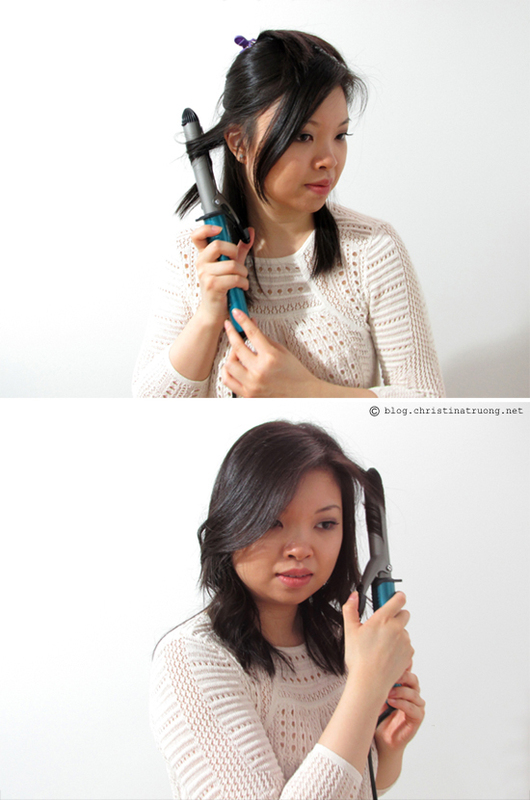 I love creating loose curls using Conair's Infiniti Pro 1 inch nano tourmaline ceramic curling iron. Super easy to use, the Conair Infiniti Pro curling iron provides nano technology, anti-frizz protection, true ceramic heater, and long-lasting curls. Their unique 5 high heat temperature settings from 285°F-400°F (140°C-205°C) and Instant Heat technology (heats up in 30 seconds!) provides styling versatility for all hair types. Before I begin to curl my hair, I always add a little bit of heat protection spray. Next, turn on the curling iron! There's technically no need to wait for the iron to heat up as it heats up within 30 seconds. 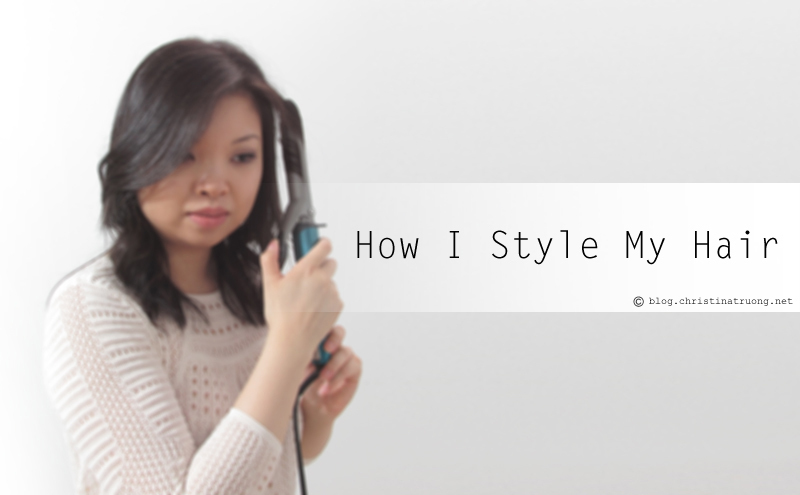 With my hair type and the style I'm going for, I like to use the lowest setting, which is just a simple press of the power button and start curling! I clip up a section of my hair and then take about an inch of hair from the front and curling it out and away from my face and releasing it downwards immediately to create that loose curl. I do the same for the opposite side of my face. When that is done, I curl my hair the opposite direction from the previous curl. Then, when the entire section is completed I repeat the same steps for the rest of my hair, always remembering to curl the front away from the face. Once my hair is completely curled, I just leave it and I'm ready to start the day! No need for added products since my curls usually stay throughout the day. Though, if I feel my hair needs some volume, I will add a bit of hairspray. How do you normally style your hair? 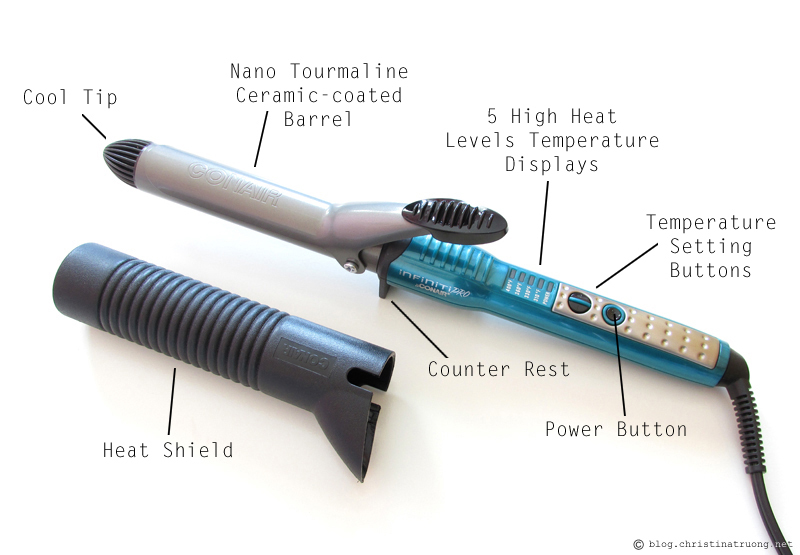 Do you have a favourite styling tool? Do you own any Conair hair appliances? Disclaimer: Products received under this post were sent from Conair. Views expressed are honest and of my own.